Austrian Hari Proczyk is fielding his own racing team, HP Racing, this season. 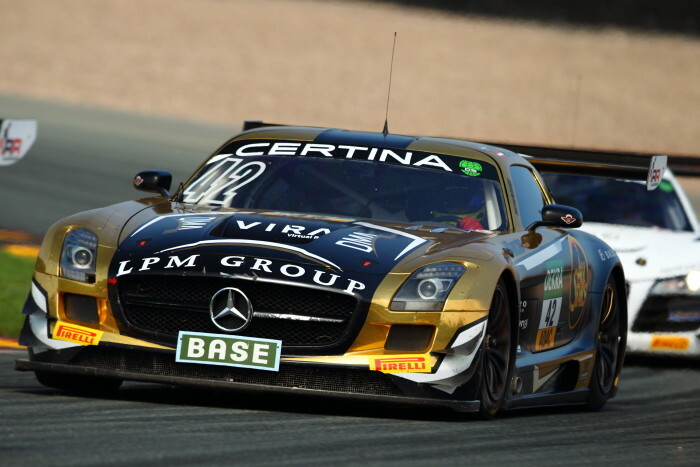 In addition to several endurance races and the DMV-GTC Pokal, the team celebrated its debut in a Mercedes-Benz SLS AMG GT3 at the ADAC GT Masters in Oschersleben (DEU) this past weekend. 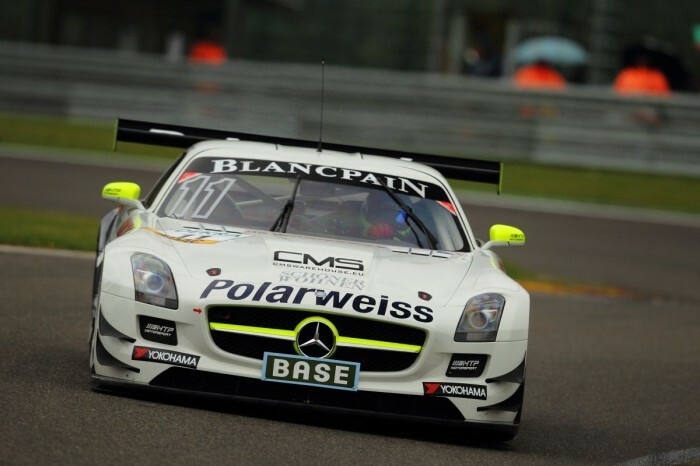 The successful Swedish race driver Andreas Simonsen, who achieved international success in the SLS in the past, joined Proczyk. The positive results of the two free practice sessions on Friday were encouraging. Andreas Simonsen and Hari Proczyk each clocked the second and third fastest lap time respectively in their gull-winged car, a sound foundation for the successful weekend. All drivers battled for their individual starting grid positions for the race on Saturday and Sunday respectively in the two-part qualifying session late Friday afternoon. Proczyk took P8 in the fourth row for the first race. Simonsen was able to up the ante, securing P5. He started into the Sunday race from the third row. Having gained four places in the first tight corners right after the start of the first race at 1.15 p.m. on Saturday, Proczyk cruised to the driver change at the end of the first half of the race. The Swede took over smoothly and the team gained another place. Simonsen achieved a good pace extending the gap to the fourth-placed car during his stint. He also managed to put tremendous pressure on Ludwig in the Mercedes Benz ahead of him. However, since the safety car was deployed during the last five minutes of the race, there was no chance for a possible attack. The newly created team celebrated P3 and their debut on the podium in the first race. Having started into the Sunday race from P5, Andreas Simonsen gained another place right away and had no problem defending it until pitting for the driver change. Proczyk took over the SLS and rejoined the race in P4. He defended that position until the early retirement of the leading car moved Hari Proczyk and the team up to the third place with only a few laps to go, the second podium finish of the weekend. 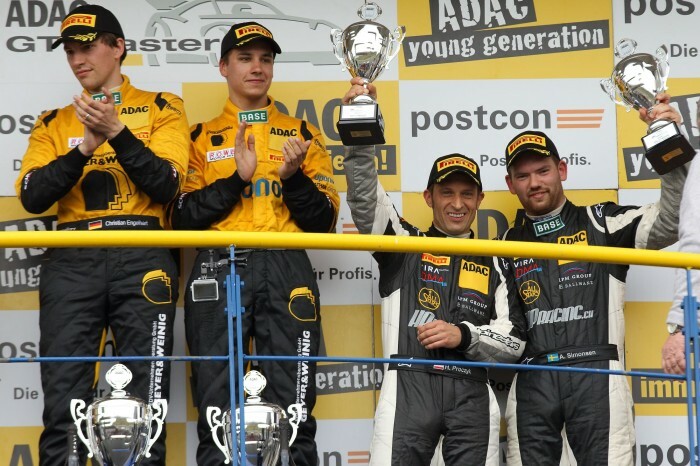 The races of the ADAC GT Masters are broadcast live throughout Germany, Austria and Switzerland on SPORT1. In addition, there will be extensive online and mobile reporting on sport1.de.